This cinnamon sugar zucchini coffee cake is spectacular! 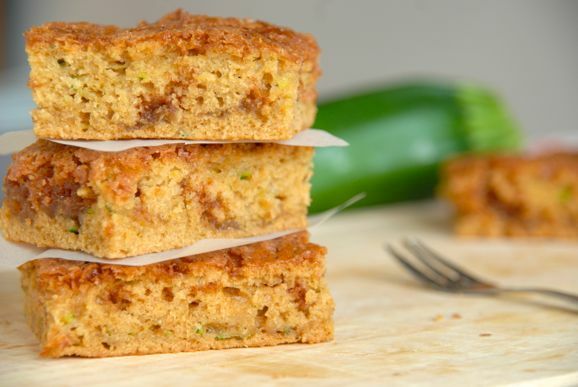 It’s name may be a bit long and dramatic – when I served it to my family I simply introduced it as ‘zucchini cake’ (although I even left the ‘zucchini’ bit out when I served it to the kids) – but oh… how it was loved! 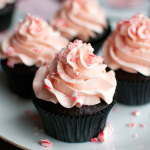 I first read about this recipe about a month ago, on one of my favorite food blogs: Pinch of Yum. Sounds promising, right? That’s what I thought! 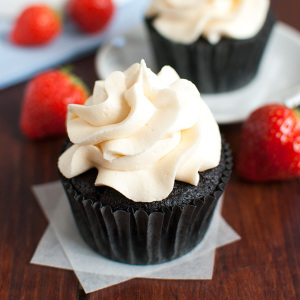 Pinch of Yum is run by not one but two bloggers! First there’s Lindsay, who’s does all the cooking, writing and photography around those parts. Then there’s Bjork, her husband, who’s in charge of the tech support and income stuff. Anyway, I really love Lindsay’s recipes! I’m in love with her Whole Wheat Roasted Veggie Lasagna and her Red Curry Lentils are amazing! I can actually really relate to her style of cooking, as she tries to keep her dishes practical, interesting and delicious. And aren’t all my recipes practical (or at least easy) and delicious? And hopefully a bit interesting, too? 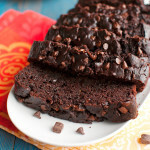 When it comes to sweet recipes, I was magically drawn to this cake as soon as Lindsay posted about it. It just looks so delicious! 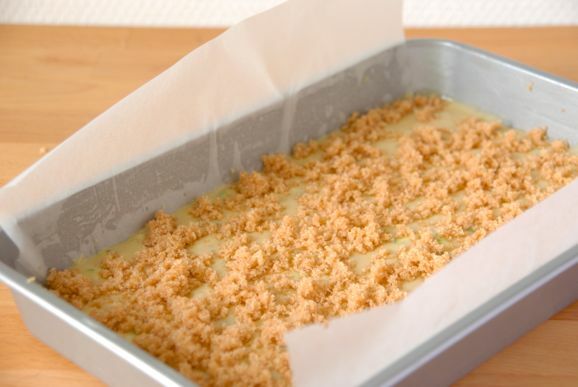 To make this cake, just start by whisking together some brown sugar, sunflower oil and half an egg. If you don’t like using half eggs but do like eating a lot of cake, just double the recipe, but keep in mind that you’ll then have enough to serve twenty people… Or one very, very hungry person! Once you’ve added the buttermilk, whisk in some salt, baking soda and vanilla. I used vanilla paste, because I ran out of extract, but feel free to use whatever you have on hand, bearing in mind that 1 teaspoon of extract equals 1 teaspoon of paste. 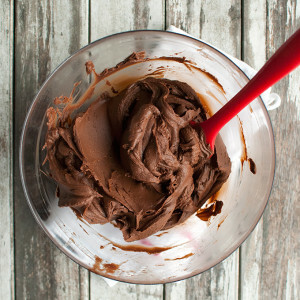 Next, add the flour and whisk to a smooth batter. Don’t you just love adding vegetables to your cake batter? 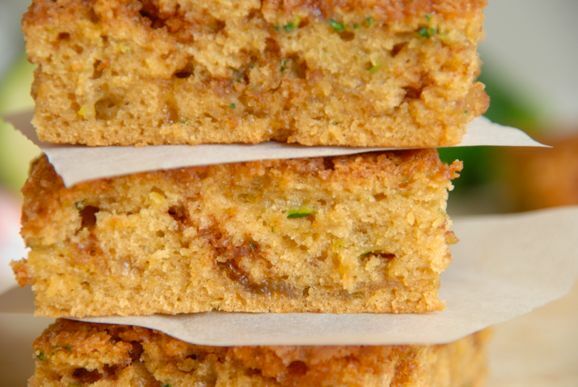 It just so funny to use something as wholesome and healthy as zucchini to make something as sugary and sweet as cake! 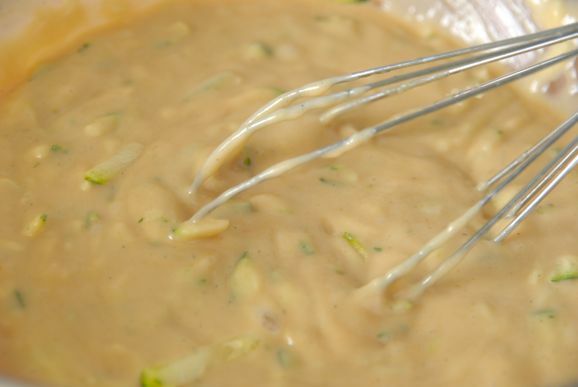 … then whisk so the batter becomes gorgeous, slightly green and perfect! On with the topping slash filling, which both runs through the cake and forms a nice, crusty top layer. 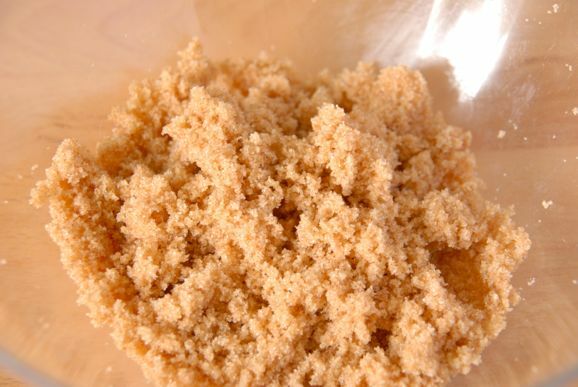 … then rub the mixture between your fingers until it kinda looks like soft brown sugar. Assemble the cake by pouring half the batter in a brownie pan that has been lined with baking parchment and sprinkle half of the cinnamon sugar on top. 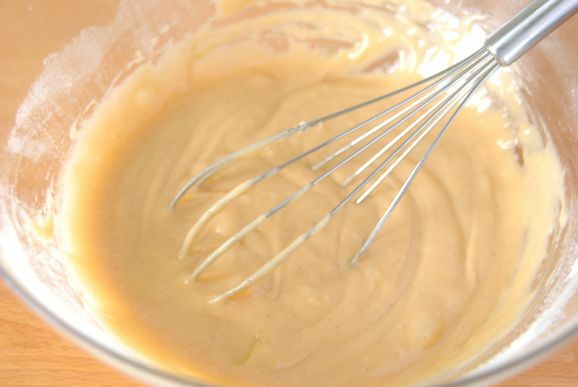 Then carefully pour the remaining batter on top. That sounds pretty easy, right? Don’t be fooled, though. This is the most difficult part of the cake-making-process! Something to keep in mind for next time! Besides, the cake still tasted delicious! Just look at all those bits of zucchini and those gorgeous cinnamon swirls! Preheat your oven to 160°C or 325°F (standard oven setting) and line a 25x16-cm (10x6-inch) baking pan with baking parchment. 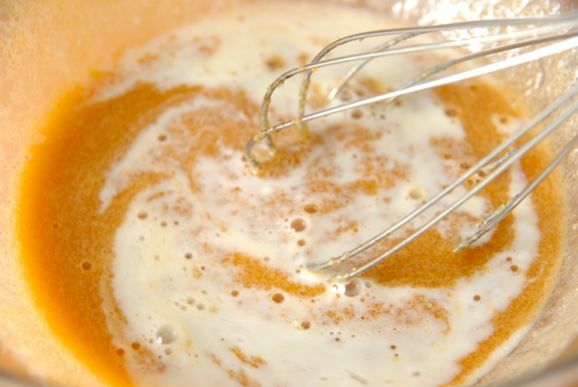 In a medium-sized bowl, whisk together the sugar, oil, egg and buttermilk. NOTE: you can substitute buttermilk with a mixture of milk and vinegar. For 120ml of fake buttermilk, simply mix together 1 tbsp of vinegar with 105ml of milk. Leave to sit on the countertop for 5 minutes before using. 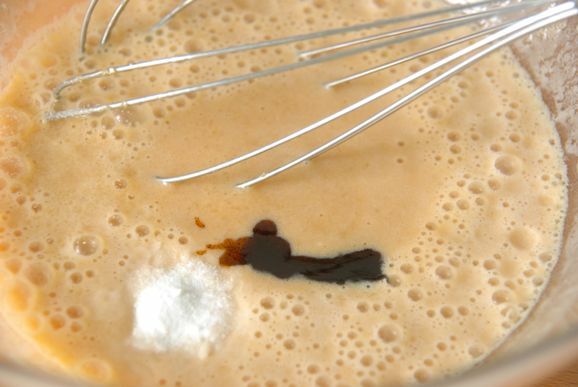 Whisk in the baking soda, vanilla and salt, then add the flour and whisk to a smooth batter. 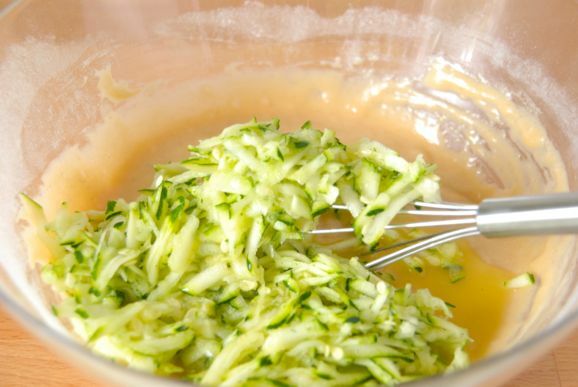 Whisk in the grated zucchini and orange juice. 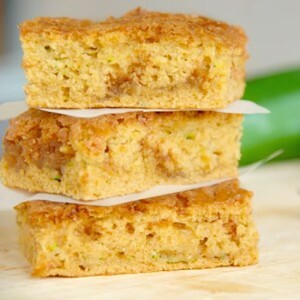 NOTE: If you're using a large watery zucchini for this cake, squeeze out any excess water from the grated zucchini before adding it to the batter. 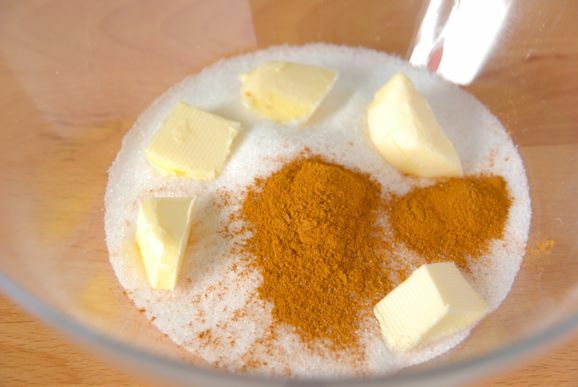 In another bowl, rub together the sugar, cinnamon and butter with your fingers, until the mixture looks like breadcrumbs. 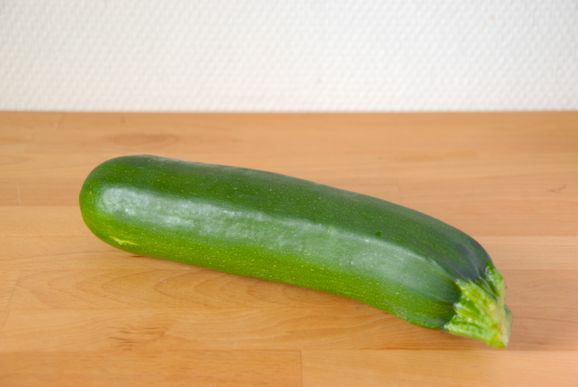 Pour half the zucchini batter into the prepared pan and sprinkle over half the sugar mixture. 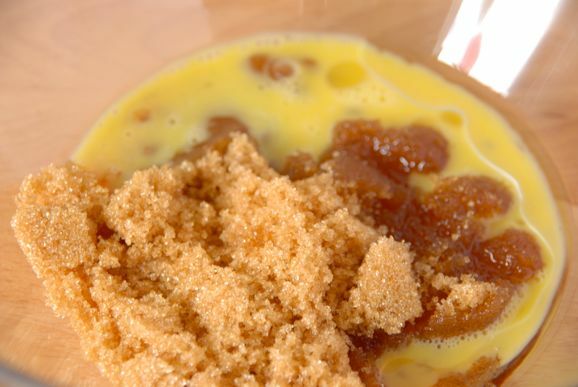 Carefully spread the remaining batter on top of the sugar layer and top with the remaining sugar mixture. 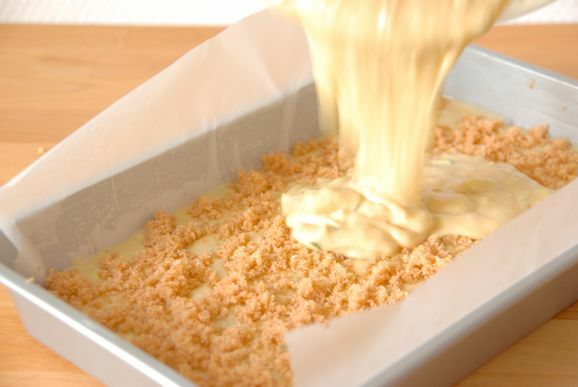 Bake for about 40 minutes, or until a tester inserted into the center of the cake comes out clean. If you don't have any buttermilk, just mix 2 teaspoons of white vinegar with 110ml (or ½ cup - 2 teaspoons) of milk. Leave to sit on the countertop for 5 minutes before using. 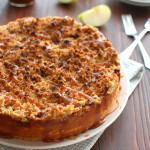 This is the best coffee cake I have ever made! I freeze shredded zucchini during the plentiful months in 1 cup baggies. Last night I was looking for a recipe to use for a ladies meeting this morning. OH MY!! 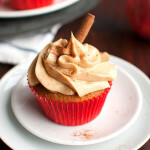 Your Coffee Cake was a huge hit! I put it together the night before, put it in the fridge and into the oven an hour before their arrival. The house smelled fabulous! I am printing out your recipe for all my friends! 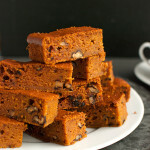 I added a cup of chopped walnuts to the middle sugar layer and then some more on the top.